In our harsh Texas environment, drought, thunderstorms, high wind and rain often wreak havoc on our trees. If you take the initiative to properly prepare your trees (such as through crown thinning or by equipping them in advance with bracing and cabling), you can help them survive the storm. But sometimes we can’t foresee or protect our land from the damage of a storm. 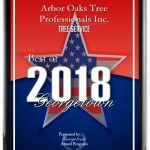 If you’re interested in one of the top storm cleanup companies that offers 24 hour tree service, look no further than the professionals at Arbor Oaks. At Arbor Oaks, we know that even the best preparation isn’t always enough for the largest storms, and you may still suffer damage to your trees. 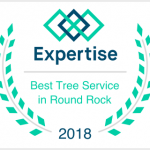 In such an event, Arbor Oaks storm damage cleanup, serving Austin and Georgetown, is here to provide you with the resources you need for any size cleanup. Is your situation more serious, and you need emergency tree service? Our experts are on hand during the strongest storms offering 24 hour tree service. 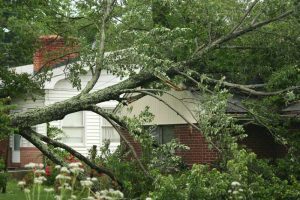 Most damage to a property during severe weather occurs when limbs or trees fall. High winds and saturated soil conditions typical of summer storms can cause tree roots to fail and branches to weaken. None of this is any easy experience for a homeowner and often you need the storm debris removal services of a professional. That is why we recommend pre-storm strategies to identify potentially hazardous conditions and to help reduce the risk of damage before harsh weather occurs. Before or after the storm, Arbor Oaks is one of the Texas area’s top storm cleanup companies to help you. If you’d like to hear more about our storm damage cleanup, emergency tree service or 24 hour tree service, contact us today at 512-240-6047. Let’s weather the storm together.